As a child, I hated outdoor playtime at primary school. It was stressful, frightening at times, hard work and pretty exhausting. I couldn’t wait for it to be over, so that I could get back to the safety of the classroom. I enjoyed lessons and discovering new things. I was good at reading and writing and I was happy immersing myself in books and art in a time when the classroom was often the only place these things could be found in a primary school. 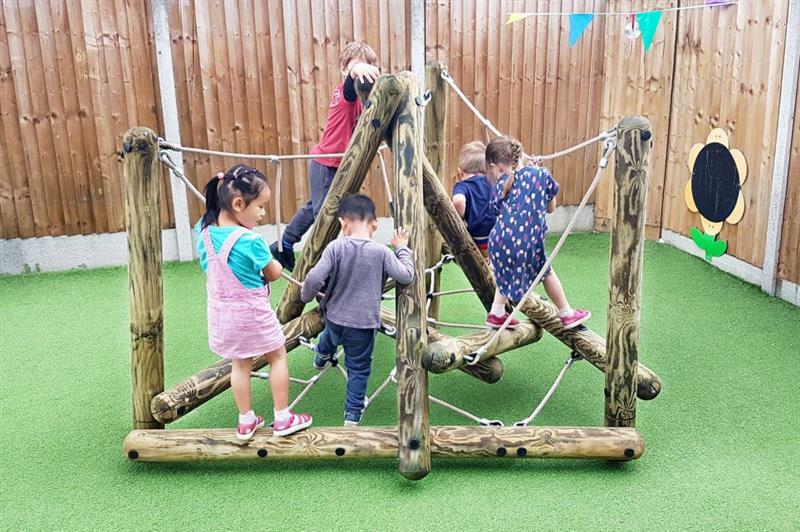 Looking back, I suppose it seems highly unlikely that, as an adult, I would find myself working with Pentagon Play - a company that is all about outdoor play and learning! Growing up with an “invisible disability” - a concept which continues to become more widely recognised and understood in much more recent years - presented its challenges. It wasn’t in any way what life was or is all about, but it had a significant impact during primary school. I have Charcot-Marie-Tooth disease (CMT), which is a motor and sensory neuropathy that causes damage to the peripheral nerves. There are lots of different types of CMT, but in my case, it causes poor balance and proprioception, muscle atrophy in my limbs, limited sensation in my feet and fatigue. To anyone who doesn’t know what CMT is, which is most people because it isn’t that well known about, on first impression I appear, for want of a better phrase “perfectly normal” (although my close friends might disagree!). But like many of us, I have my limitations. Having CMT meant that PE lessons and playtimes were incredibly difficult for me. I went to a primary school that was considered to be very good and it was in many ways, but the playground was a pretty harsh environment. We had one dodgy metal climbing frame, which I couldn’t use because it was slippery and impossible to grasp onto and pull myself up. It seemed to loom straight upwards from the solid concrete ground like an angry iron sea monster, full of right angles, with chipped and flakey paint for scales. At lunch and playtimes, all the year groups were thrown into the playground together. It was a big concrete square with a few worn netball court markings and it was full of little gritty bits that stuck in your knees and palms when you fell. Goodness knows how many plasters, stickers and “magic sweets” I collected over the space of seven years! We did have a lovely big field next to the playground, with a woodland pathway along the back for hiding in. But we were only allowed to use it in the summer months because it was too waterlogged for the rest of the year and the caretaker would chase us off it shouting something about clogging up his floor buffer. The downside of all this, of having an invisible disability in a visibly exposing environment, meant that if I wasn’t falling over and getting injured, I was left out, lonely, sad, bored and frustrated. Other children, even the teachers, didn’t get it because it was nothing they could see or understand - and who could blame them. In the eighties, CMT wasn’t well known and it wasn’t the sort of thing that was talked about. To them, I was just too clumsy and slow to join in their games, which inevitably involved lots of running around because there was nothing else to do. You just had to get on with it as best you could. Which is what I did. And it’s not to say that primary school was all bad because it really wasn’t. If anything, the whole experience taught me determination and the great British skill of keeping calm and carrying on even if it didn’t feel like that at the time. But it could have been a whole lot better. It’s worth mentioning here that my fear of outdoor play was very definitely limited to primary school and the environment that our playground created. When I was at home and at weekends, I absolutely loved being outside. I loved the space, the fresh air and the freedom. I felt safe and supported through family and friends and access to better surroundings. Less metal and grit, more creativity and bounce! You can never underestimate just how significant playtimes are for children. It’s their world! Playtime is so much more than just a break from lessons and a bit of a run around in the fresh air. It’s where memories are formed that stay with you forever and mould your character. The playground is where friendships are made, broken and put back together again. It’s where children learn how to manage their feelings and their reactions. It’s where they learn how to interact with others and to develop their social skills. Used well, it’s a platform for building self esteem and self confidence, where children can challenge themselves, experiment and test boundaries. It’s where children can enjoy the freedom to move and exercise their bodies, to have fun, to try taking a risk or two in safe surroundings. It’s also an ideal place, in our modern society where children don’t really get to play outside alone, for children to enjoy experiencing a little independence - having a stretch of open space which takes them, in their eyes, that little bit further out of sight or earshot of adults. These experiences are imperative for developing the essential life skills that children need to become adults. And there is absolutely no reason on Earth why they should not be available, in one way or another, to every school child in the country. Most parents will tell you this: at the end of the school day, when they get home, kids don’t want to talk about their lessons. Well mine certainly don’t anyway - who wants to talk about work?! They don’t want to explain the minutiae of what they have learned that day. Partly because they might not know the answer just yet (they need time and a good sleep to process). Partly because, right now at this very moment, it’s just not as important to them as what happened in the playground at lunchtime. Which brings me back to working with Pentagon. If Pentagon had been around when I was a child, if we could have had just a few of their ideas in our playground, things would have been very different. I know it would have made the world of difference to me and no doubt to hundreds of other children out there with disabilities and challenges of their own, visible or not. What Pentagon do as a company is brilliant. 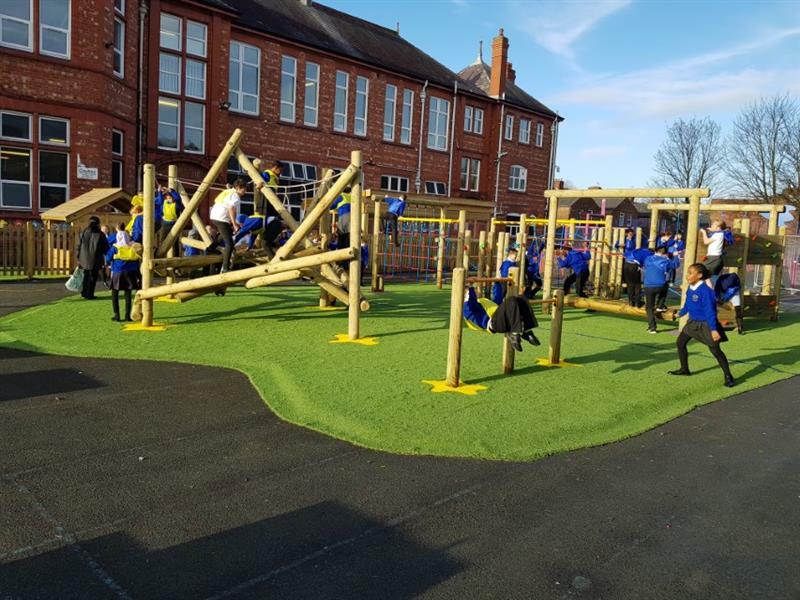 They design clever outdoor play, learning and sports products and build inclusive playgrounds to make sure that every child can enjoy their right to play outdoors. It sounds simple, but of course there is quite a bit more to it than that - and you can read more about what they do in the Edu-Blog section of their website. 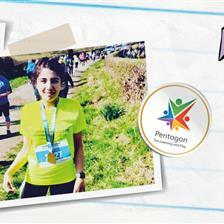 Pentagon stand out because they invest time and effort in researching child development, teaching methods and learning techniques. 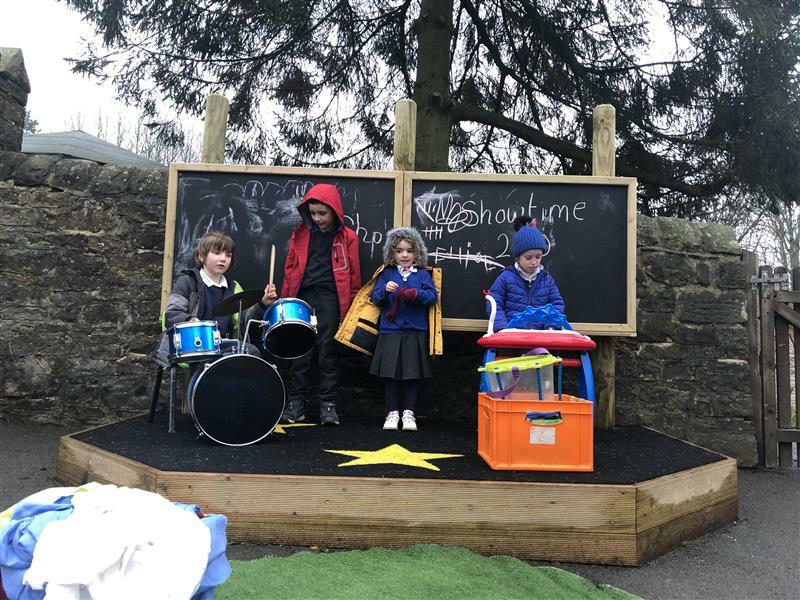 They work in conjunction with teachers and other professionals across schools and nurseries and employ people who have first-hand experience of teaching and working with children of different abilities themselves. They offer a range of products to develop the whole child and to ensure that children of all abilities can take part in one way or another. 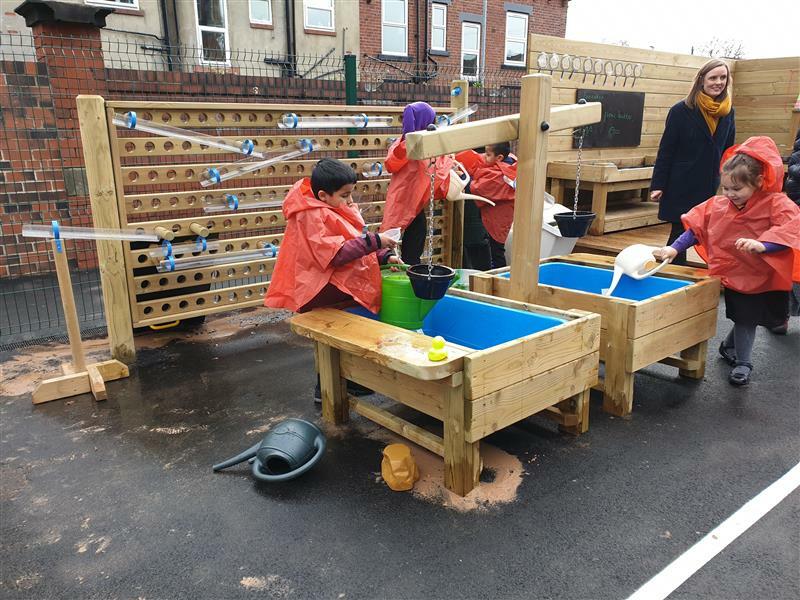 They put care into their playgrounds and really think about what works best; helping schools and nurseries to make their outdoor spaces the best inclusive spaces they can be. Good enough reasons to work with them for me and I haven’t seen anyone else out there who does it with quite so much style and consideration. I am a huge advocate of outdoor play and learning in schools for all children. This might sound a little crazy coming from someone who hated it so much as a child! But things are different now. 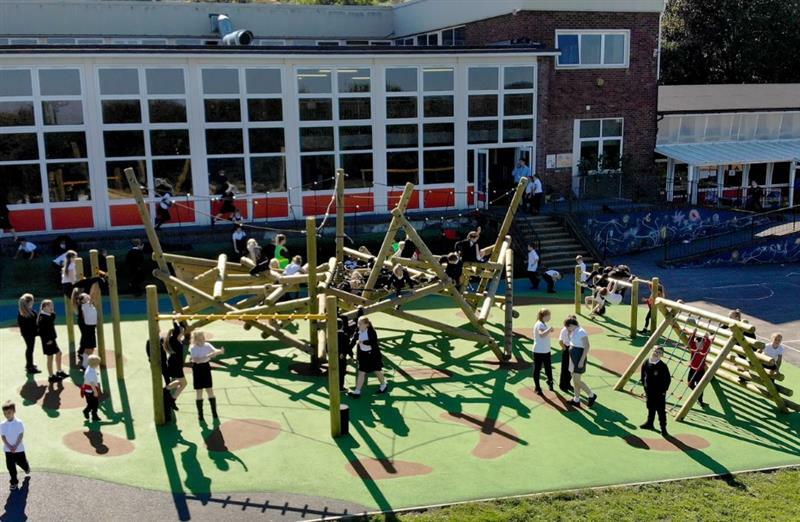 With the right outdoor environment, there is so much more opportunity for outstanding learning and play experiences and it’s so much better for children’s physical and mental health and wellbeing than being stuck indoors all day. 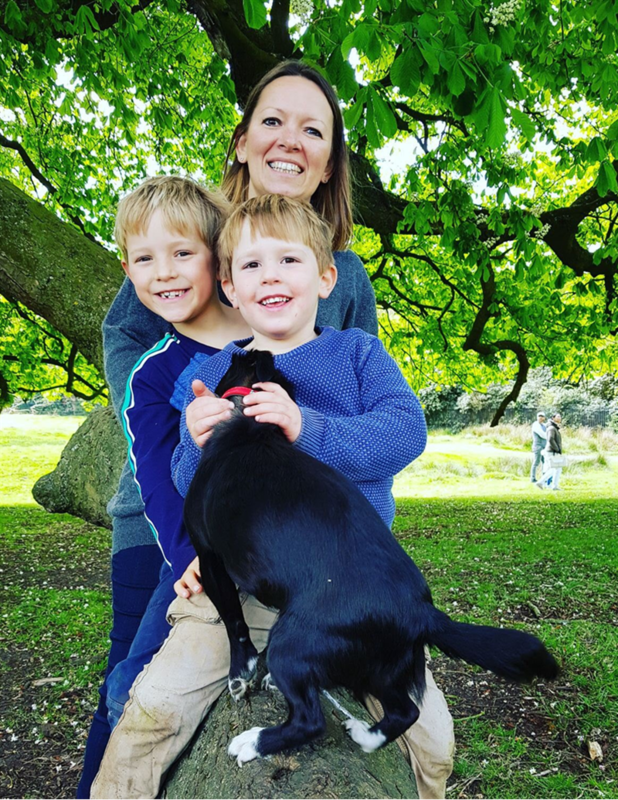 It’s what I want for my own kids now - I see such a difference in their behaviour when they have had a decent amount of time to be outside - they absolutely love it and they are so much happier and healthier for it. We still have some way to go in society as a whole, but it’s wonderful to see how much we have moved on. We are more socially aware - we discuss, we recognise and we embrace difference. And thank goodness for that. Having an invisible disability does not necessarily mean that you can’t do something - rather it means that you need some support to be able to do it, or you do it differently to the way someone without a disability does. We all have our strengths and our weaknesses, our struggles as well as our high moments, whatever they may be. It’s crucial that this is recognised. For all primary-age children out there with invisible disabilities of any kind - some of whom will have already been diagnosed (although at Early Years level, it is possible that many will not yet be diagnosed) - they are still developing. There is so much that can be done through outdoor learning and play to help them become the people they are going to be. They are learning how to handle themselves, what their own boundaries are, what they are comfortable with and where they feel safe, ready and able to stretch themselves. Which it’s why it’s so important for schools to have safe and inclusive playgrounds that offer variety. It can be something as simple as choosing the right playground surfacing to reduce the risk of injury from falls. 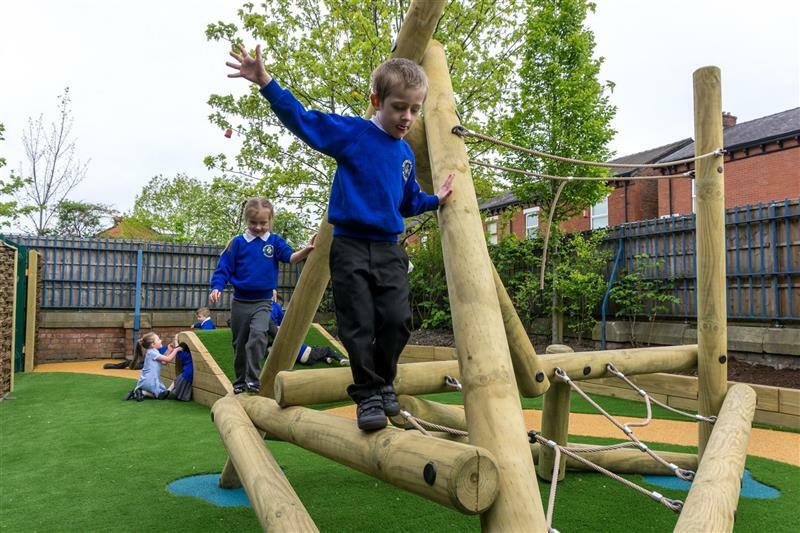 Then investing in a good piece of active play equipment that is physically challenging but safe and supportive with plenty of grips, slopes and numerous entry and exit points (no slippy metal and nasty edges!). 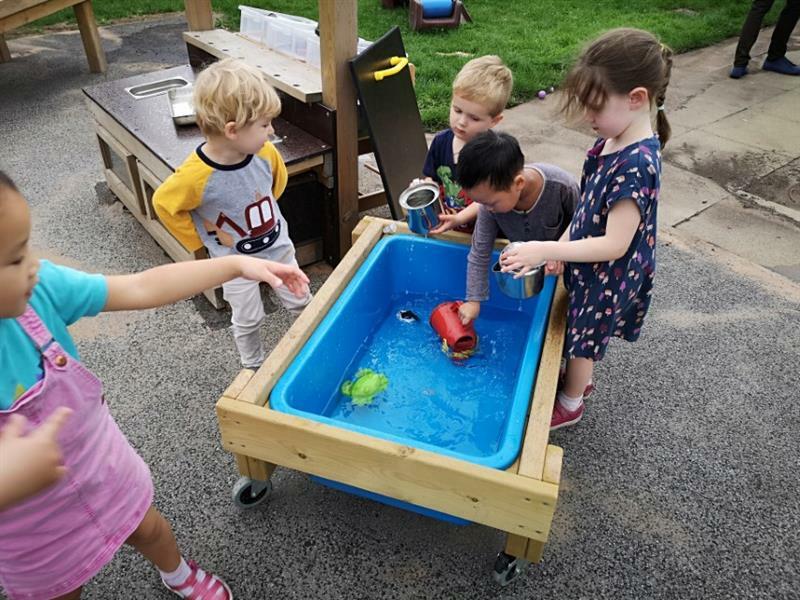 Couple this with one or two more investigative and messy/sensory play pieces involving sand, water or mud and you are well on the way to providing something for everyone. 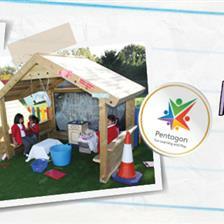 Pentagon have created a range of outdoor products specifically for children with Special Educational Needs which also include products for children with mobility problems. If you can provide the facility and actively encourage children with invisible disabilities to have a go, join in, and be included, then go for it. What it does for their confidence and self esteem when they achieve a challenge, when they can do what the other kids are doing and be part of the fun, is amazing. Then they can enjoy playtimes, enjoy their primary years, just as much as anyone else. 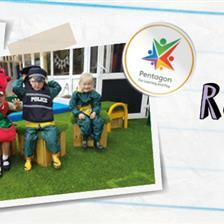 You can view Pentagon Play's full range of playground equipment for children with special educational needs here. 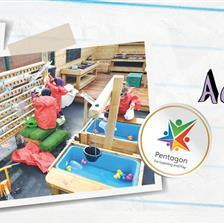 If you are looking to create an inclusive playground in your school or nursery for children of all abilities, and would like Pentagon to visit you for a free consultation, pleas don't hesitate to get in touch by completing our Contact Form. 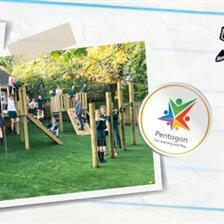 View the full range of Pentagon Play’s school playground equipment, sport pitches and outdoor classrooms here.